Yesterday I managed to get into movies for the first time in … oh, years. We watched the “Guardians of the Galaxy” in 3D. Nothing better than an adventure filled heroic movie from Marvel for a Sunday evening. The movie was quite good, actually. I thought they cut some corners and removed a few scenes in a few places but overall it was a load of fun and is totally worth enjoying. 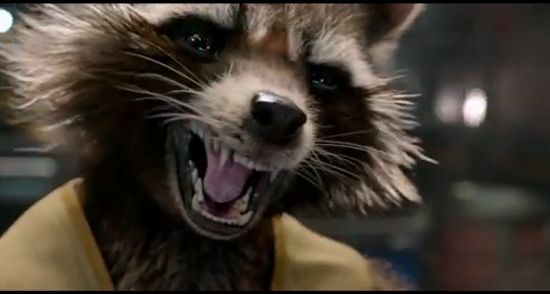 And Rocket the raccoon totally rules. Posted on 2014-09-08 by Tigr. This entry was posted in Review and tagged 3D, action, adventure, cinema, en, Fun, Guardians of the Galaxy, movie, Rocket the raccoon. Bookmark the permalink.